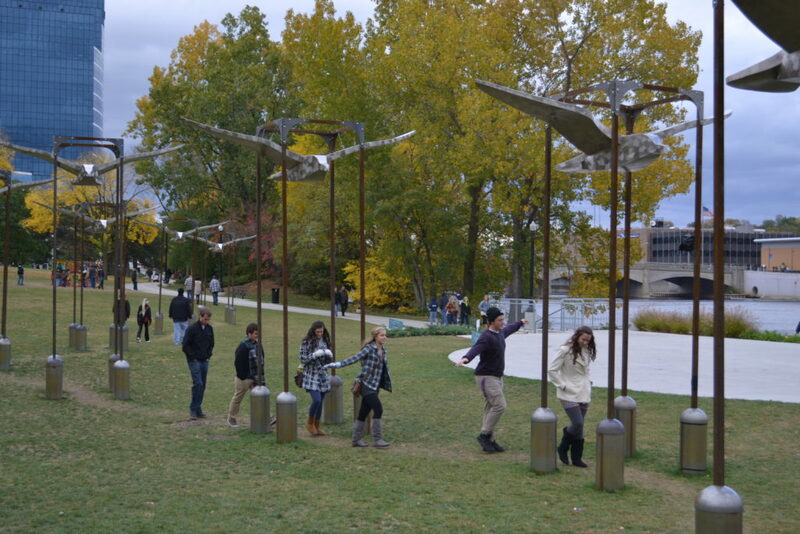 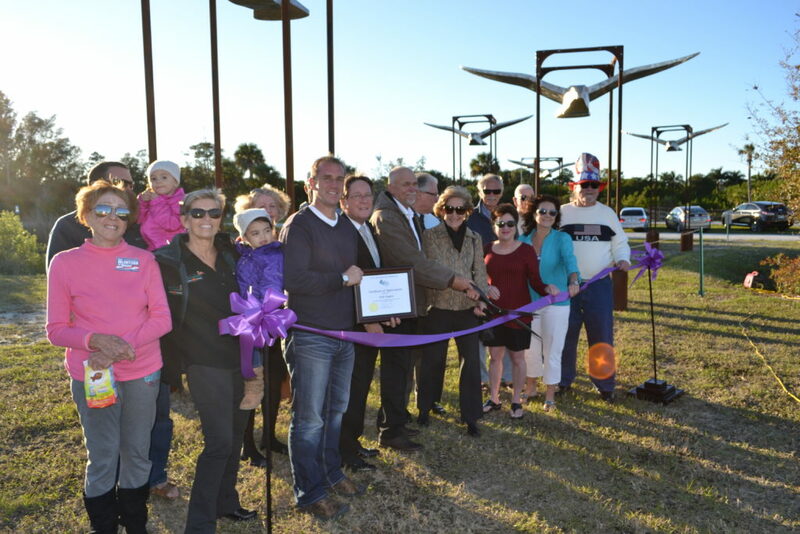 Flight is the third, large-scale, temporary public sculpture exhibit designed by Dale Rogers. 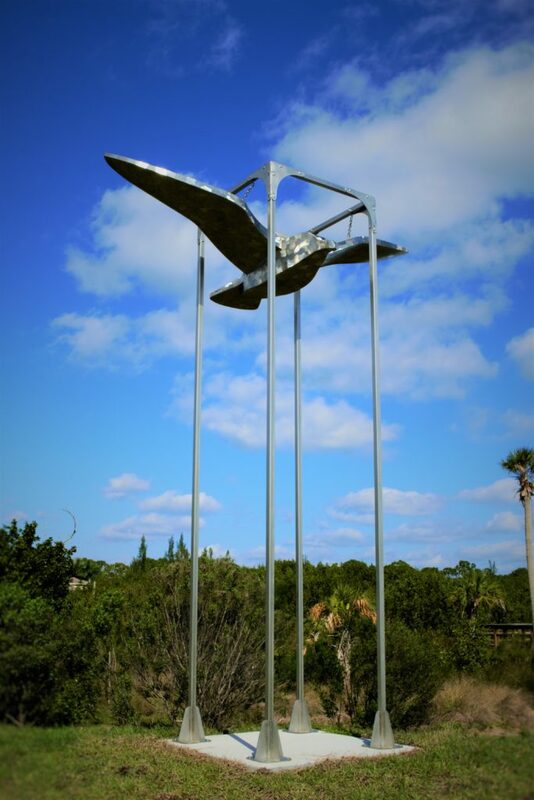 Dale has been working as a full time metal sculptor since 2002. 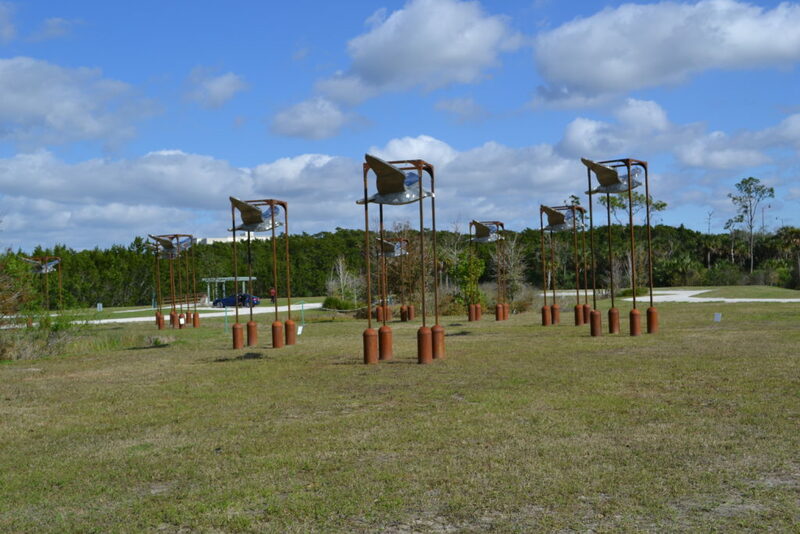 His strong passion for public art led him to design his first temporary art exhibit, The Big Dog Show, in 2009. 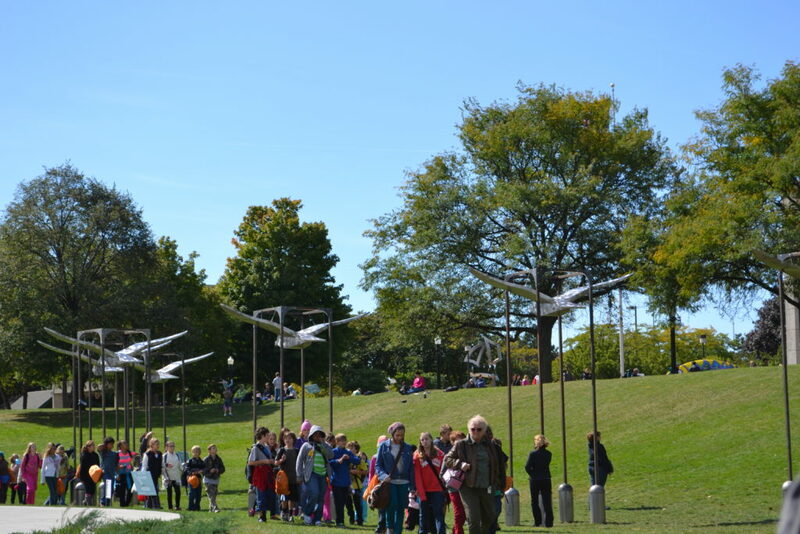 Metal Monkey Mania followed in 2011, and due to the success of the first two exhibits, Flight premiered in 2012. 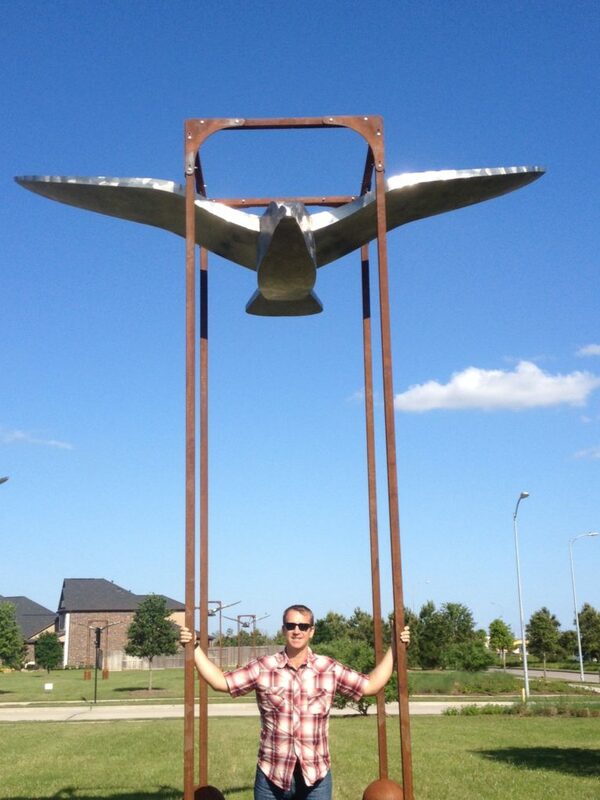 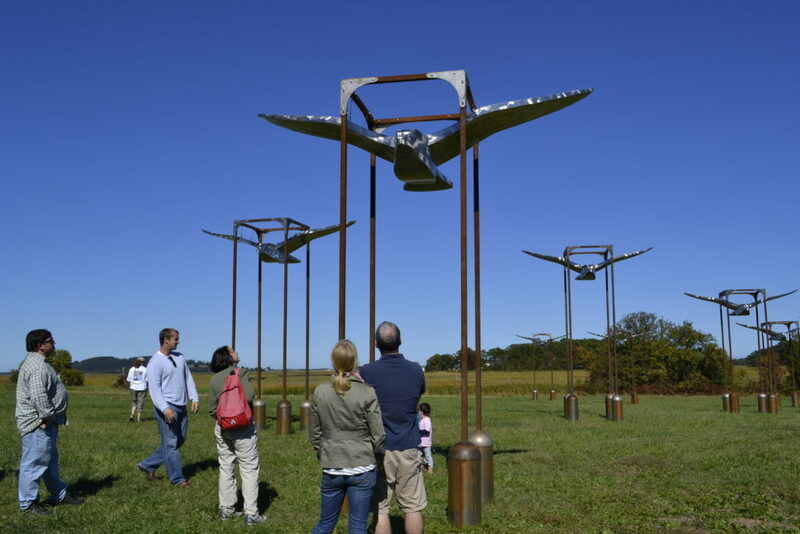 Flight consists of nine stainless steel birds, each weighing over 200 pounds with a wing span of 12 feet. 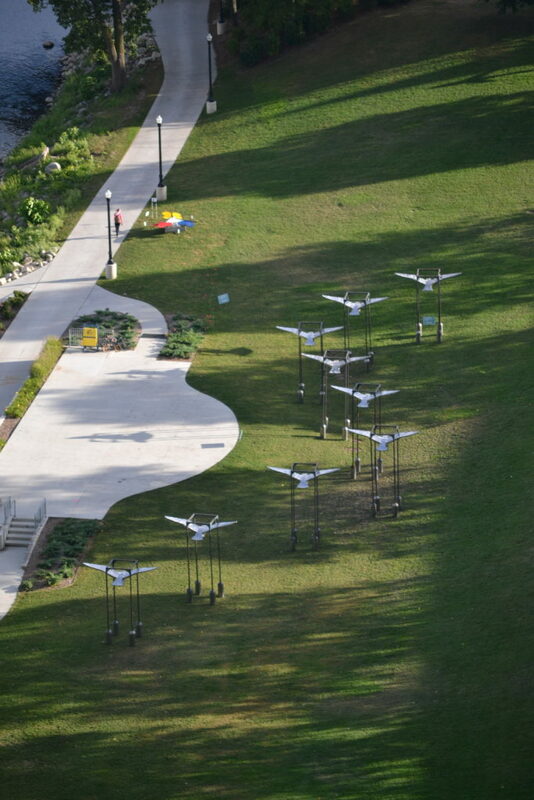 The birds are supported in frames that can vary from 12-16 feet high. 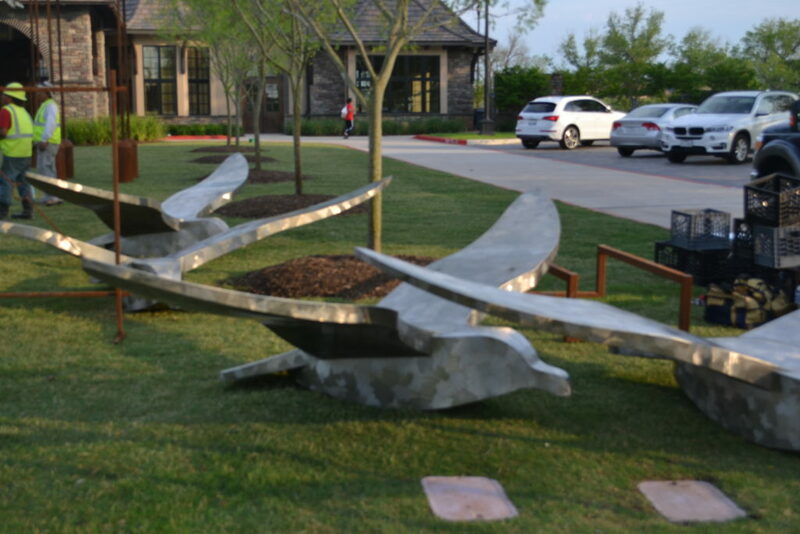 It is a stunning exhibit that works well in any open area, and it is particularly well-suited for a waterside community. 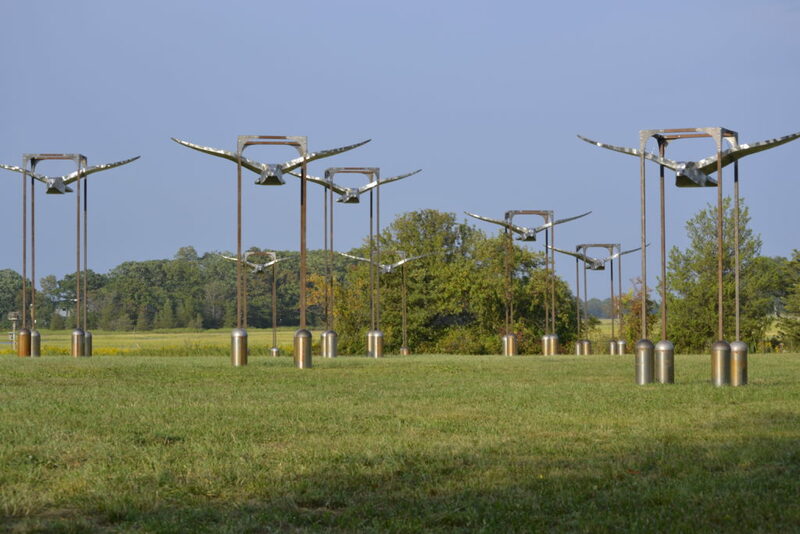 The birds are brought to life through their incredible ability to reflect the sky, sun, and water. 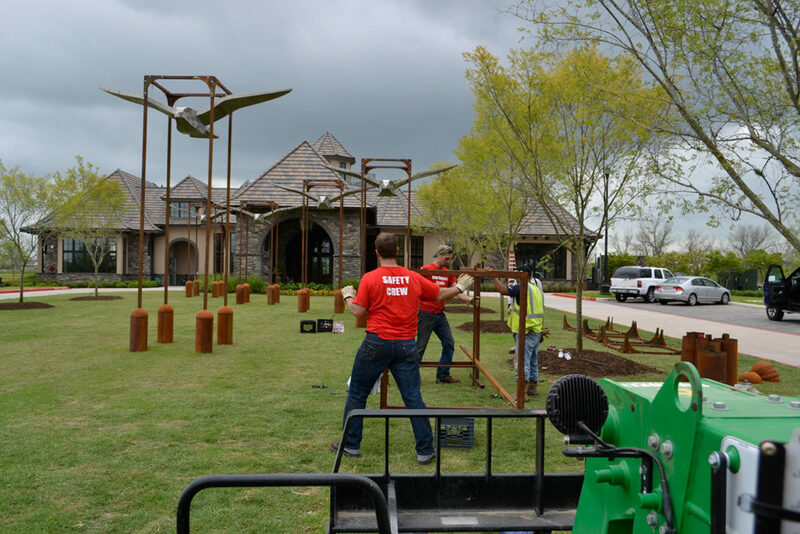 The flock is set up in a serpentine pattern adding visual interest. 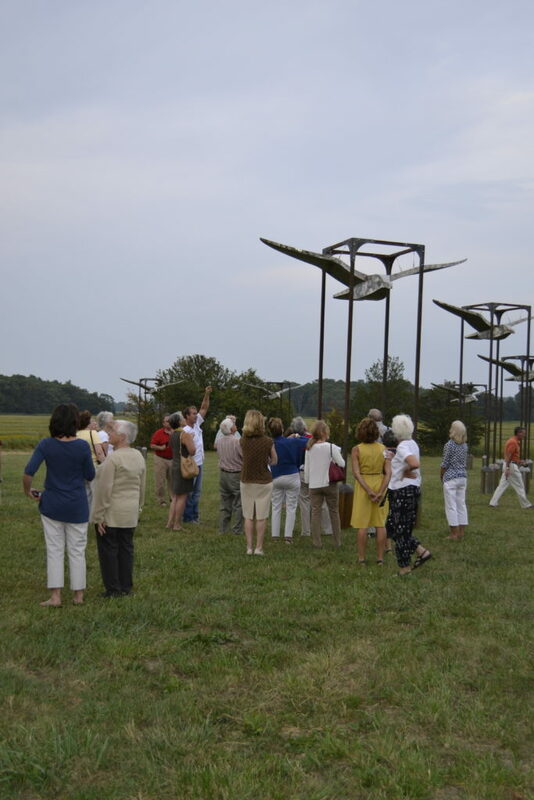 The exhibit is visually appealing from up close and afar.